Applications to trade are now closed. We look forward to getting some great deals from all out traders on the day of the show! We are no longer accepting entries for car clubs. 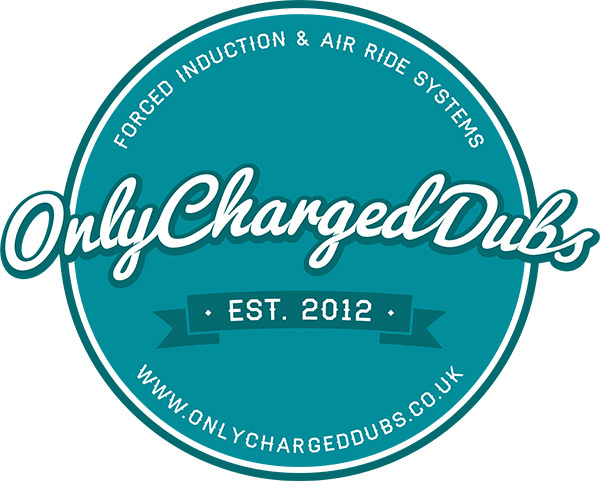 There is a waiting list in place - get in touch vis our Facebook page to join the waiting list. CLUB LEADERS - please check your email and ensure your club all have pre-paid tickets. We will allocate unpaid slots to the waiting list so please ensure your club has all their tickets in place ASAP. If in doubt, contact us via Facebook. We are no longer accepting entries for indoor show & shine. Those selected will be contacted by email - please check your inbox! To enter outdoor show & shine, simply turn up on the day with your VAG motor in pristine condition. Gates close @ 9am sharp. Spaces are very limited and entry is first-come-first-served, so arrive early! To enter outdoor show & shine, simply turn up on the day with your pre-1995 motor in pristine condition - doesn't have to be a VAG marque. Gates close @ 9am sharp. Spaces are very very limited and entry is first-come-first-served, so arrive early! Welcome to Elsecar at the Races! 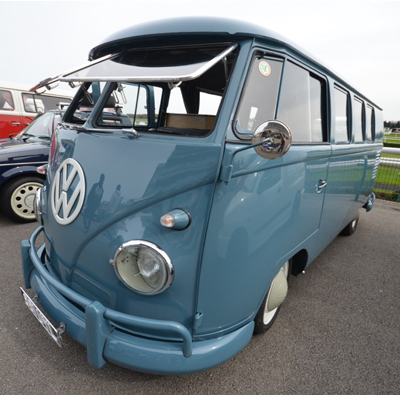 We're a family-orientated car show held at Doncaster Racecourse, in the North of England, showing VW Group and retro cars. Now in our 4th year at Doncaster Racecourse, we're back there again for more of the same! 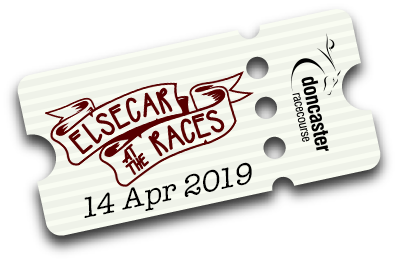 We've evolved over the last 20 years from a small meet of enthusiasts at the Elsecar Heritage Centre (hence the 'Elsecar' in our name) to what is now one of the UK's largest specialist car shows at the fantastic venue of Doncaster Racecourse (the 'Races' bit of the name). The venue has space for over 100 cars in the indoor exhibition centre plus space outside for over 600 additional show cars. All the information you need to know can be found on this website– what’s happening, how to book a club stand, trade pitch or indoor space, how to buy a ticket and much more. 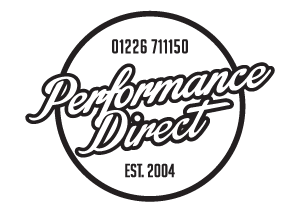 Scroll down for all the info and if you need to know about something that's not shown, get in touch via the CONTACT US page and we'll get back to you. We look forward to seeing you on Sunday 14th April 2019! 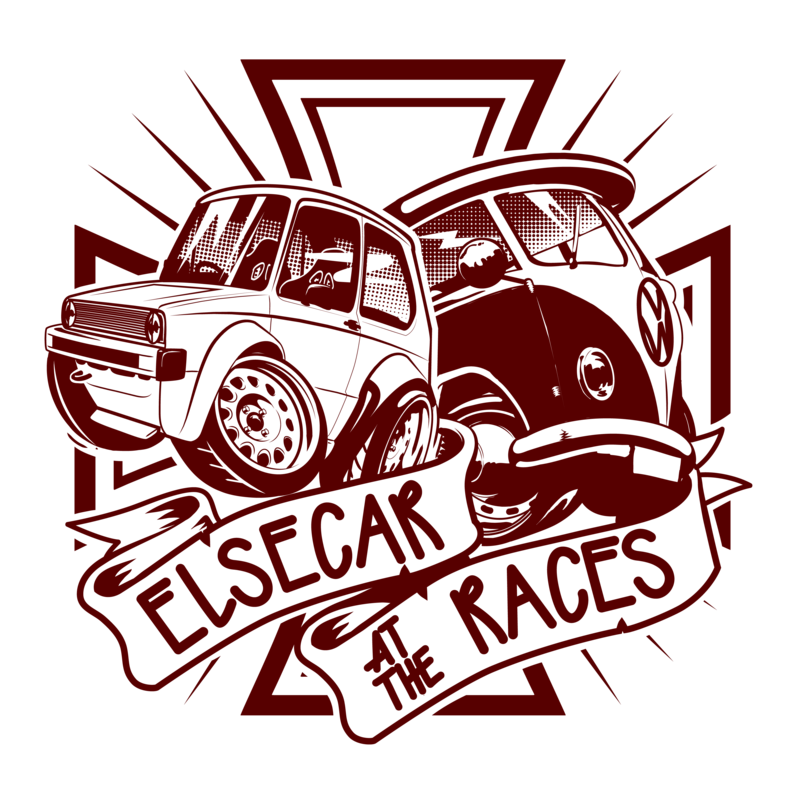 2016 opened a new chapter for both our show and Doncaster Racecourse - 10 years since the Racecourse hosted a car show and a massive leap in to the unknown for the Elsecar show. The prestigious Doncaster Racecourse & Exhibition Centre is regarded as one of the finest sporting venues in Europe and home to the world's oldest classic horse race - the St Ledger Stakes. 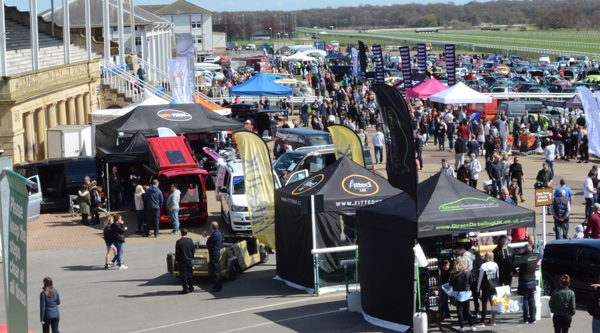 After recently undergoing a £34million redevelopment, with outstanding indoor/outdoor facilities, it is a perfect venue for one of the UK’s longest established specialist car shows. The indoor exhibition centre has the capacity to hold over 200 display vehicles/traders and space for a further 500+ vehicles in the outdoor display area. A wide range of places to eat and drink available plus excellent car parking facilities with over 5000 spaces, mean you won't be scrabbling for a space. 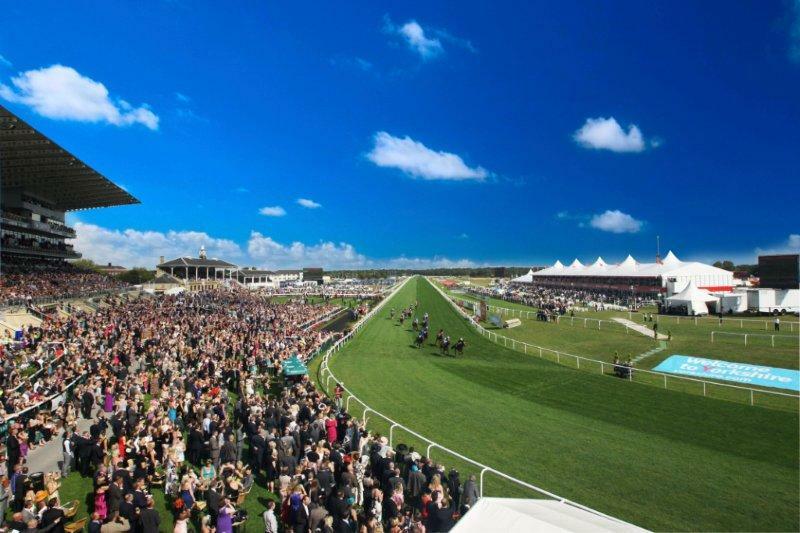 Superbly located near the heart of Doncaster, the stunning Racecourse is a convenient venue for nearby Sheffield and Leeds, with links to the A1, M1, M18 and M62 making it easily accessible to the other areas of the UK and Europe. 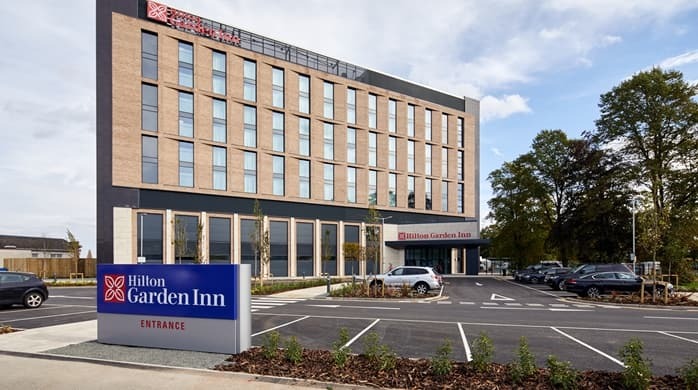 The luxurious and brand-new Hilton Garden Inn is right next-door to the Racecourse, meaning you won't have far to walk to be at the heart of the action! A short bus or taxi ride away is the Innkeeper's Lodge (aka Punches Hotel). Rooms here aren't as in-demand so you should bag a bargain. The pub downstairs serves good food and the drink prices are pretty decent too. A stone throw away from the Racecourse you will find the Campanile Hotel. It's really handy for the show, just a few minutes walk away. This link will show you a load more, plus there are the usual suspects of Premier Inn and Travelodge close-by. Early-bird tickets have now all gone! You can buy your tickets on the door on the day of the show. Tickets are priced at just £15 on the day, cash only, as we do not have the facility to take card payments at the venue. We are also pleased to offer FREE ENTRY to OAPs (over 65s) - you don't need an advance ticket, just turn up on the day, but please bring proof of eligibility. 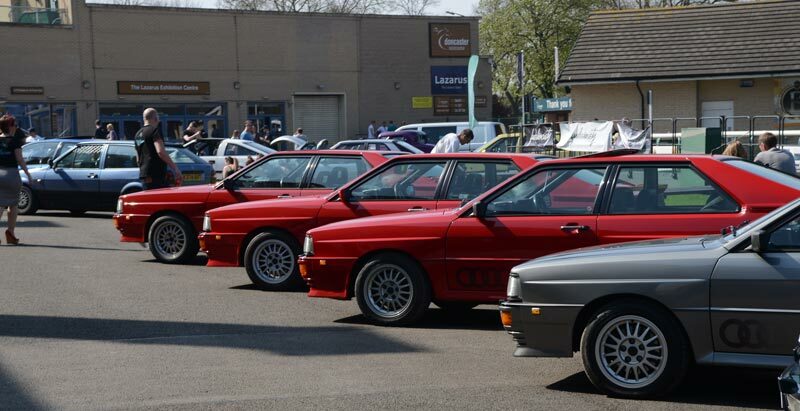 'Elsecar at the Races', formerly ‘Elsecar Mega Meet’, formally known as ‘Club GTI Mega Meet’ has been running for the last 18 years - making 2016 our 19th birthday! 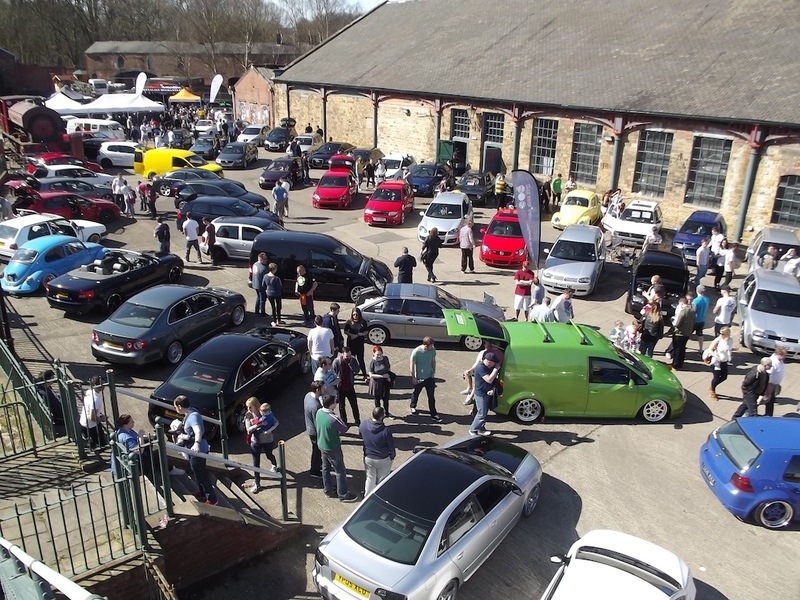 Over the last 12 years the Mega Meet has grown gathering over 200 show cars and 200 club cars at the old Elsecar venue, to 700+ vehicles at Doncaster Racecourse. Due to the popularity of the meet we have outgrown the Elsecar Heritage Centre and have had to move to a bigger venue – Exciting! A new venue comes with a new name and great opportunities to make our little meet into a great show! However we still want to keep that 'family feel' so we hope you will join us in taking the event to the next level. Think your beloved car is the best? Then why not enter our Legendary Show & Shine?! Follow the link below for info! Member of a car club and want to exhibit? We'd love to have you! All we need you to do is fill out a quick form and purchase an entry ticket for each car that will be on your club stand to reserve your spot. Simple as that. Closer to the time, we will email over all the info you need for the big day. As one of the UK’s leading specialist car shows, why not have a trade stand to either sell or promote your business. Thank you to our sponsors – please click their logos below and give them as much support as you can. We're thrilled to welcome back a very good friend of the show, and all round metalwork genius, Jo. If you aren't following his Fab Lab (fabrication laboratory) on Facebook, then you're missing out on watching Jo at work on all kinds of vehicles and crazy projects. 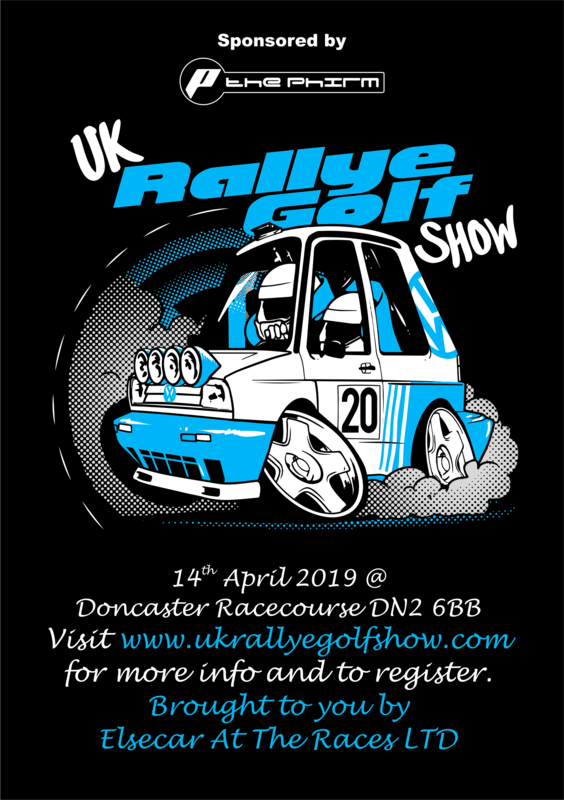 Once again, as organisers of the UK Rallye Golf Show, Doncaster hosts a collection of Rallyes from across the UK and Europe. This year we celebrate 30 years of the Rallye and hope to see enthusiasts from across Europe join us to celebrate. Matt Gill Restoration is sponsoring our Aircooled display area. So if you fancy showing your vehicle, no need to book, just turn up on the day and you can enter the Aircooled Show & Shine class. 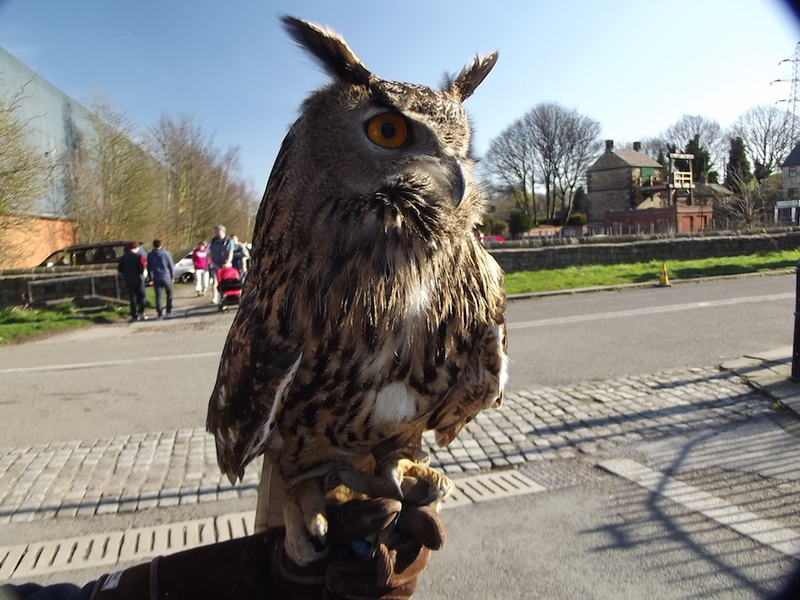 Our local charity, who we have supported for a number of years, will again be in attendance at the new venue with their live bird of prey display. Make sure you take the time to see the birds and have a chat with the fabulous dedicated team. Why not get a selfie with a bird of prey and donate to a worthy charity. We're honoured to have the Pilgrim Bandits attending our event! The Pilgrim Bandits are a charity with a firm goal: to give injured ex-servicemen and women the opportunities to put their ailments aside and carry on with life's great adventure. 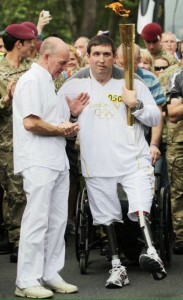 Local lad and their patron, Ben Parkinson, needs no introduction. He has done his home town of Doncaster proud and we welcome him and the team to Elsecar at the Races. Pop along to their stand on the day and do all you can to help their worthy cause.